Dennis Family Homes is an Australian owned residential construction company specialising in family homes. They have won several Master Builders Association Of Victoria (MBAV) awards. 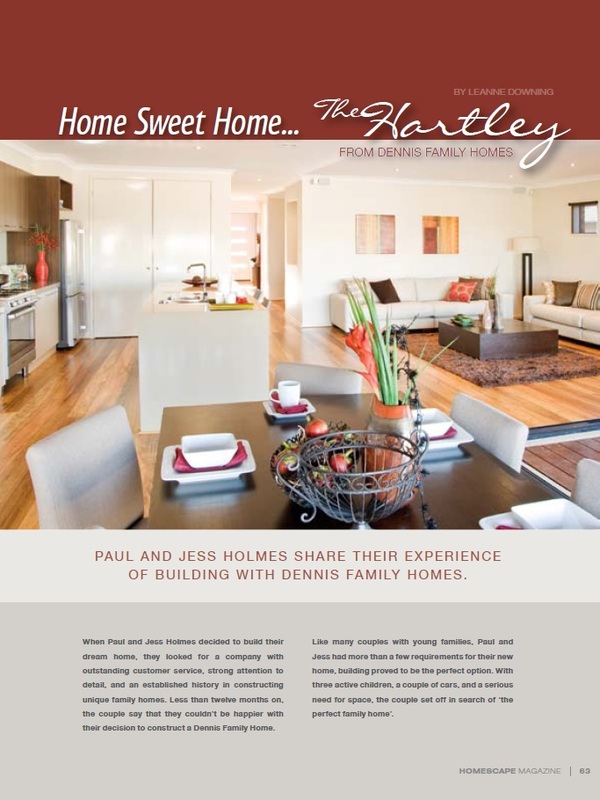 This project involved the creation of an advertorial which was placed in a local Shepparton publication. It’s aim is to showcase a particular home design and interview two happy customers.